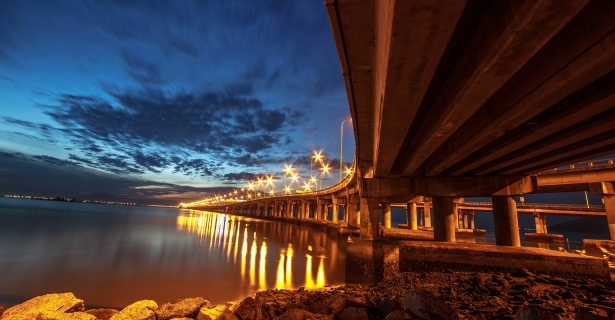 The highly urbanized state of Penang is one of Malaysia’s most popular tourist destinations. With so many wonderful attractions just waiting to delight your senses, it’s no wonder visitors flock to this beautiful location. The accommodation in Penang ranges from decadent hotels to cheaper hostels and idyllic Penang beach resorts. With such a range of hotels and beach resorts accommodation in Penang, you will find that Penang caters for a wide variety of markets. No matter what your budget is, you are sure to find the best hotels in Penang, Malaysia within your price range. The Penang Butterfly Farm opened in 1986 and its main goals are to educate the public and provide the perfect breeding area for some of the most exquisite butterflies and other insects. Visitors can get closer than ever before to some of nature’s most fascinating creatures including frogs, tarantulas, beetles, lizards, snakes and water creatures. The Tropical Spice Garden boasts over 500 different types of herbs. While exploring this garden, you can really enjoy your natural surroundings and features like hills, terraces and natural streams. Another lovely location for nature lovers to visit is the Penang National Park (Taman Negara Pulau Pinang). It’s the perfect place to get away from life’s daily pressures and just stroll around while enjoying some beautifully fresh air. For a chance to really experience the history of Malaysia, tourists should definitely visit the Pinang Peranakan Museum. The house, as well as its contents, truly depicts the culmination of Chinese, European and Malay influences. If you are particularly interested in museums, don’t forget to check out the Camera Museum and Ben’s Vintage Toy Museum, both of which are sure to entertain the entire family. The temple designs in this area are also particularly fascinating. Tourists often visit the Kek Lok Si Temple and the Dharmikarama Burmese Temple just for a glimpse at the outstanding architectural splendour. Penang Hill is a wonderful trip for the whole family to enjoy. It is 2750 feet tall and there is a funicular railway that will take you all the way to the top. When choosing a hotel in Penang, an online search would be the easiest way to snap up those money saving Penang hotel deals and find where to stay in Penang. While visiting this fascinating part of the world, you most likely won’t spend much time in your hotel room at all. Choosing a cheap hotel in Penang will mean more money for other activities and dining out. Remember that booking your accommodation in Penang online will save you time and allow you to shop around for the best savings, discounts and specials or that luxury Penang beach hotel.